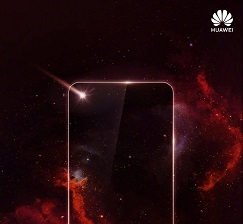 The leaker IceUniverse has shared an image that appears to portray a Huawei phone with an Infinity-O-like display via Twitter. This tweet also suggests that the phone in question will be a competitor to the Samsung Galaxy A8s, and that this device will be released in December. However, the unnamed Huawei counterpart may beat the mid-range Galaxy to launch. The Galaxy S10 may be the first Samsung flagship to exhibit Infinity-O display technology. This new innovation may negate bezels and notches by creating a hole directly in a corner of an OLED panel for the front-facing camera. The Galaxy A8s may pre-empt this possibility somewhat. It is set to be the first Samsung smartphone with an Infinity-O display. This mid-ranger may act as a kind of live soak-test for the new screen type, to see how well it performs and is taken up by consumers. However, we had no indications as to when the Galaxy A8s was to be released. This situation may be subject to change now; the eminent tipster IceUniverse alleged in a recent tweet that the innovative A8-line phone will be released in December. However, it may have competition already: IceUniverse also alluded to the existence of a second version of Infinity-O developed by Huawei. Furthermore, this company apparently also has a phone with this display type ready to beat the A8s to launch. So far, there are no clues as to what Huawei will call its take on the camera-pore concept, or the phone set to rock it for the first time. However, FirstPost speculates that it will most likely be a Nova-line phone. This makes sense, as the Novas are also mid-range phones, and Huawei has already unveiled its flagships for this year. It is not clear whether the Infinity-O idea will take off or not. On one hand, it may enhance screen-to-body ratio, but on the other, it may complicate issues such as display repair and protection (e.g. it may lead to screen protectors with ugly inopportune holes if not implemented properly). In addition, a truly camouflaged under-display camera is technically possible: the OnePlus 6T's fingerprint reader is one, after all. However, such new display types will keep smartphone aesthetics interesting, at least.